People are more connected now than in any time before. You can message someone half way across the world and in the blink of an eye they’ve received your communication and you can be conversing just as you would be face to face. Technology has allowed us to become closer and bridge gaps that otherwise would be impossible. This extends way beyond the casual e-mail or sending cherished photos to loved ones, we can also transfer money across vast space and time and in a flash, find it has entered the desired recipients account. You may find you need to send money overseas to make payments for goods and services, or may be that you’re sending money to a family member as a gift. Whatever the reason, as a Canadian resident you have a wealth of options available to assist with this, but none quite as easy to use and efficient as Curexe. Foreign exchange fees are a nasty surprise that you may not be aware of, banks usually take 3.5% or upwards as a fee for these transactions, whereas here at Curexe, we charge a small fee of only 1%. The compiled guide below will assist you in making the right choices with all the relevant information, so read on to find out just how easy it is to send money worldwide from Canada. Firstly you need to create an account, which will take mere minutes if you have an ID at hand to upload. Once this is completed you will see you are able to send money across in various currencies, Canadian Dollars (CAD) being our primary function, but we can also cater to the following; US Dollars (USD), Euro’s (EUR), British Pounds (GBP) and Czech Republic Koruna (CZK). We can transfer money to most countries in the world, it’s actually easier to note the countries that we don’t transfer to; Belarus, Burma, Central African Republic, Côte d’Ivoire, Democratic Republic of the Congo, Eritrea, India, Iran, Iraq, Lebanon, Liberia, Libya, North Korea, Russia, Somalia, South Sudan, Sudan, Syria, Tunisia, Ukraine, Yemen and Zimbabwe. We take the stance that this isn’t transparent enough and results in you losing out on funds, therefore Curexe has a 1% charge which applies to the total of the transferred money and that’s it; no hidden extras or varying price, we take care of any fees that a bank may charge. When sending money abroad you have to be aware that your CAD will not be a like for like value. Instead, there is an exchange rate which fluctuates from place to place. For example, as of writing 1 CAD is equal to 0.61 GBP (British Pound) and on the other hand, 1 CAD is also equal to 1.31 Bulgarian Lev. Therefore it can be explained as the value of one country’s currency in direct proportion to that of another. Be aware that currency exchange rates are determined by the foreign exchange market, which is dictated by sellers and buyers. This means that prices can change depending on a location’s current circumstances, for example recently in Great Britain, the “Brexit” vote caused the value of the pound to drop, meaning you could get a better exchange rate or value for your CAD than you could a few years ago. The exchange rate the bank gives you allows them to buy low and sell high, which of course is what everyone wants to do. What ends up happening is you buy high and sell low. You end up losing 3 – 5% of all your money! You may be wondering how Curexe will save you money over using a bank. Well, Curexe has developed a computer software that is not only highly efficient, but responsive as well. The system will liaise directly with global banks that cuts out the middlemen and streamlines the entire process, making payments automated. This in turn means that staffing costs are reduced as you don’t need someone physically attending to the data and as such these savings can then be passed down to you, our valued customer. As mentioned previously, the 1% fee is drastically reduced from that of a normal bank. It’s clear this process isn’t fair to you and we strongly believe that you shouldn’t have to pay for that, which is why we keep our costs low and fixed. With the basic principles in place, your next question will be how long will it take for my money in Canada to reach the destination intended? We can send money in two ways, either via wire payment or using a pre-authorized debit. Using a wire method of transfer can take 1-3 business days and is in the hands of your bank to send in whichever way they allow you to. On the other hand, the pre-authorized debit can take up to 3-4 working days and is completed from your computer, using online banking. So in essence, money can be from one account to another in less than a week and at the fraction of the cost it would otherwise be if you were using banks. The dual options exist to cater for those without access to online banking. The next step is to enter in the required information to get the transfer up and running. You’ll need to get the details for the recipient as well as yourself, so make sure this is completely accurate. To ensure this is correct, take the name of the business or individual you are transferring money to direct from an invoice you have received, or the legal name of the person they have registered with the bank. If this doesn’t match up, there’s a chance that the transaction will be rejected. It’s to counter fraud, so don’t end up delaying the process due to mistakenly entering a name inaccurately. Once you have done this, the information is then stored on our databases. This is particularly handy for future payments as we save all of your recipients in a convenient drop down menu which appears when you are putting through a transaction, another convenient way we aim to help you get your money across swiftly. Getting into specifics, you will need to provide a SWIFT Code. If this is an unfamiliar term for you, please read on to discover what this means. The SWIFT Code is a standard format for Business Identifier Codes (BIC). It is used to uniquely identify banks or financial institutions on a global basis – it paints a story of who and where the bank is located. These codes are used when transferring money internationally between banks. 1 – This is 4 letters that usually have a similar look to the bank they come from. For example, BMO always starts with BOFM. 2 – This is a country code made up of 2 letters. For example, CA for Canada or US for USA. 3 – This is the location code and can be made up of 2 letters or numbers or combination. This determines the head office of the bank. 4 – This is a 3 letter or number code to specify a branch other than the head office. This one is optional so if it doesn’t show this many characters don’t worry! For reference to the SWIFT code you’re trying to find you can visit Theswiftcodes.com, but if you are unsure please contact the recipient to ensure you have the right code (if you ARE the recipient please call your bank). With that aspect of the transfer understood, the final step is to make sure you have the correct bank details and full name of both yourself and the recipient. As mentioned above, any incorrect information may cause the bank to reject the payment and thus delay your money transfer further. Occasionally you may need to enter a specific date as well, but normally you will just request payment to be made as soon as possible. Keeping your money safe is Curexe’s prime concern. Keeping your safety and security is at the top of our priorities and we make sure to value this principle thoroughly. Sending money across the globe from Canada with our service is achieved by using trust accounts that are separate from operating accounts. This means that only secure banking channels and partners are used to send money, thus making us as safe as any large banking organization. To expand on this, all transfers are encrypted using HTTPS which has us on par with the banking standards. As a registered money service business, we are also highly governed by the Financial Transactions and Report Analysis Centre of Canada (FINTRAC). In short, The FINTRAC is Canada’s financial intelligence unit. They facilitate the detection, prevention and deterrence of money laundering and the financing of terrorist activities, while ensuring the protection of personal information under its control. Basic user information such as name, address, the contents of messages, the financial amounts of transactions. This data is securely transmitted and, while stored our database in unencrypted form, is protected by robust passwords. Information which in and of itself could not be used fraudulently if acquired by malevolent parties, but could be used in conjunction with other sensitive information to compromise a user, such as bank account numbers. This data is stored in the database using strong two-way encryption. Login password and other data which could compromise a user’s access to the website. This data is stored in the database using strong one-way encryption, which prevents even website administrators from retrieval. Online banking credentials. This data is not captured or retained at all by the website. All this will give you peace of mind that your money is being handled safely and securely. To conclude, it is without a doubt that sending money from Canada to far off lands is a possibility that we couldn’t dream of years ago and now it is made simple thanks to the wonders of technology. You may be apprehensive in your first endeavour into this new method of moving money, but you can be secure in the knowledge that your funds will be handled in the correct manner. We provide a secure experience by efficiently protecting all of your currency as it is transferred and more importantly that any banking credentials are not stored by the website, so you need not fear of that falling into the wrong hands and your money being compromised. All you have to ensure is that you get the relevant details correct of the sender (you) and the person who will be receiving the funds. A small mistake in spelling of a name, or incorrect number in the bank account will throw the transaction off, so just double check everything is correct before sending. With safety concerns out of the way you can also be confident in the knowledge that your money will be in the desired account within days, once more giving you peace of mind that the intended recipient will receive the necessary funds quickly and efficiently. Sending money abroad can be a daunting prospect. You can sometimes be unsure if the party you are going through is completely legitimate. 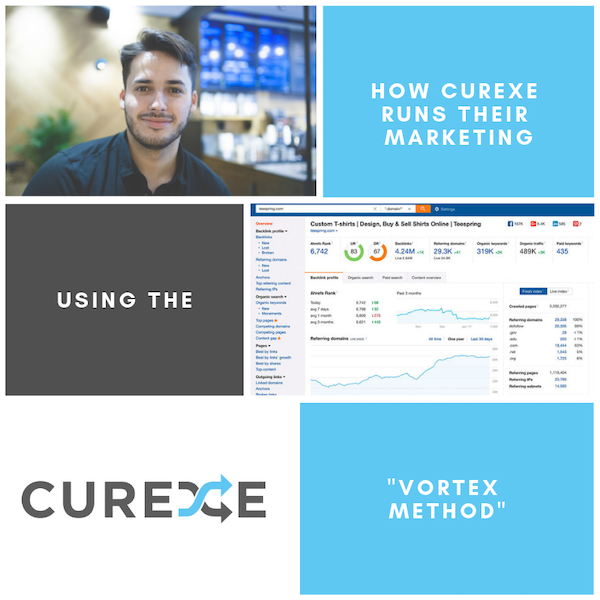 Curexe eliminates that fear as we are a well governed and monitored company that has one mission; to provide an honest and transparent solution that would be free from hidden fees and nasty surprises when sending money from Canada abroad. A further pitfall when sending money overseas is that you will be paying way above and beyond what you should be. Banks will charge upwards of 3.5% per transaction and we simply think this is too much for you to pay and as you’ve seen already, we stick firmly to our 1% rate per transaction. What’s more, your money is insured through The Canada Deposit Insurance Corporation (CDIC) and safe with the banks. If you’re a Canadian resident then there is simply nowhere else to go to send money abroad. You’ll be met with a friendly and knowledgeable team who will be happy to help at every turn, no question too big or small. So don’t delay, head over to Curexe.com and register for your account now to start sending money abroad with ease, comfort and security.